When you are looking for comfortable, high-quality clothing and accessories in colors that pop, look no further than Comfort Colors. Comfort Colors is a leading apparel brand that specializes in wholesale garment dyed t-shirts and sweatshirts. Over the last four decades, the company has perfected the art of garment dyeing to create clothing that is soft and resistant to shrinking. At The Adair Group, we are proud to offer Comfort Colors clothing in a variety of styles. Let’s take a closer look at the garment dyeing process and how it sets this brand apart from its competition. 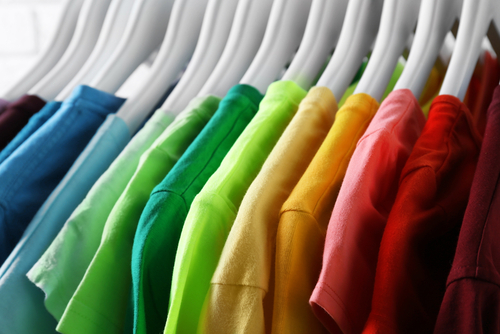 When most companies manufacture t-shirts and other apparel, they do so using pre-dyed fabric. In the conventional dyeing process, the fabric that will be used to make clothing is dyed prior to being cut and sewn into their final products. Garment dyeing, on the other hand, refers to the process of dyeing clothing after it has been manufactured. This process is most often used for cotton knit clothing and cotton woven goods. Garment dyeing has become increasingly popular in recent years due to current fashion trends as well as the potential cost savings, but Comfort Colors has been utilizing this method for more than 40 years. The process of pre-dyeing fabric before constructing it into clothing is known as piece dyeing. Traditionally, this process has been widely used because it is extremely cost-effective when mass-producing t-shirts and other identical garments in large quantities in the same color. The drawback to this process, however, is the potential risk involved in having a large inventory of a particular color of fabric in today’s rapidly changing market. Garment dyeing enables clothing manufacturers–like Comfort Colors–to dye pieces after they have been made. This eliminates the need to stock huge quantities of certain colors and risk having them go out of style before they can be used. The garment dyeing process also results in clothing that is softer, more comfortable and more resistant to shrinking. Rotary drums and paddle machines are commonly used in the garment dyeing process. 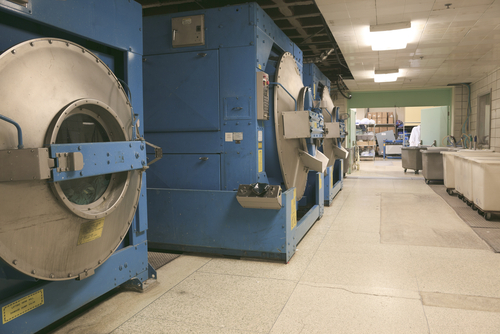 The rotary drum machines are more frequently used for delicate garments, like sweaters, while paddle machines are used for more durable clothing items. Paddle machines move garments around using a rotating paddle. There are a few different types of these machines, and they all work differently. In any case, though, they move clothing around inside the machine to ensure that the dye is applied evenly. A rotary drum machine has a perforated drum that rotates inside a slightly larger vessel. The outer vessel contains the dye and the inner drum is divided into compartments to ensure that the garments rotate as the drum rotates. These machines can be used to dye t-shirts and a wide range of other garments with minimal abrasion. There are a few different processes for garment dyeing, and there are several types of dye that can be used to create different effects. Overall, though, this technique enables manufacturers to create smaller batches of clothing in less time. It also tends to require less water and energy than other dyeing processes, making it a more environmentally friendly option. While more and more brands are adopting the garment dyeing process, we especially love Comfort Colors. The company embraces time-proven, refined dyeing processes and creates high-quality clothing that is as durable as it as fashionable. As a member of the Gildan family, Comfort Colors is also committed to social and environmental responsibility. Their products are manufactured in facilities where workers’ rights and health are respected. The company also takes steps to minimize their energy and water consumption to reduce their harm to the environment. The garment dyeing process results in clothing that is brightly colored, durable, soft and resistant to shrinking. It is an affordable process for manufacturers that results in high-quality products for consumers. Comfort Colors is a pioneer in the garment dyeing field and they have spent decades perfecting the art. 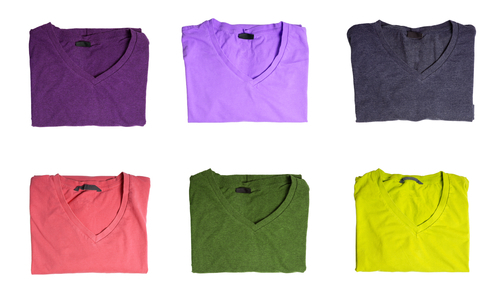 At The Adair Group, we are thrilled to offer a range of blank Comfort Colors apparel in a rainbow of colors. Browse our selection today or contact us to request additional information.